We are a leading Manufacturer of vacuum gate valves, butterfly valve, vacuum butterfly valves, vacuum right angle valves, needle valve and air admittance valves from Bengaluru, India. 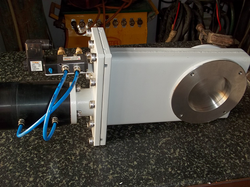 Bangalore Vacuum Technology manufactures pneumatically operated Vacuum Gate Valves of 1” to 20” in Stainless Steel. These Gate Valves are fitted with viton "O" rings as standard and optionally CF-Flanges of copper gasket sealing are offered. 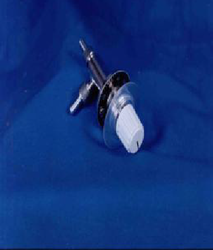 These valves are used as "in-line" chamber isolation valve. 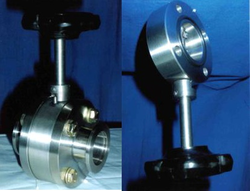 We are passionately engaged in offering an exclusive range of Butterfly Valve. Used to control the flow of liquid, our given butterfly valves are tested on diverse parameters of quality so as to ensure its flawlessness. These butterfly valves are developed by our professionals, utilizing optimum quality material as per the set guidelines. Offered butterfly valves are available in diverse specifications as per the need of patrons. With our in-depth experience in this domain, we are engaged in offering Vacuum Butterfly Valves. The offered butterfly valves are acclaimed among customers owing to their optimum finish. These butterfly valves are designed with utmost precision using best grade material and advanced techniques. In addition, our entire range of butterfly valves is offered at the affordable rates to our clients. With the help of our experienced engineers, we are able to offer Vacuum Right Angle Valves. These angle valves are designed using finest quality material and cutting-edge techniques in compliance with set standards. Our offered angle valves are tested on numerous parameters under the direction of our quality experts in order to deliver a flawless range. 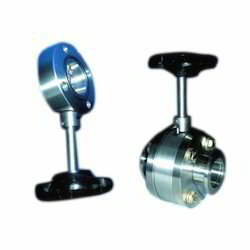 We provide these angle valves in different specifications as per the need of customers. We are specialized in manufacturing, trading and supplying a quality assured a range of Needle Valve. The provided needle valves are demanded among customers for their high quality & performance. These needle valves are compactly designed by Bangalore Vacuumed Technology. Offered needle valves are checked in terms of quality in order to dispatch a flawless range. We are involved in offering the best quality of Air Admittance Valves. Manually Operated Air Admittance Valves are designed and manufactured for admitting air into the vacuum chamber or pipeline to break vacuums. 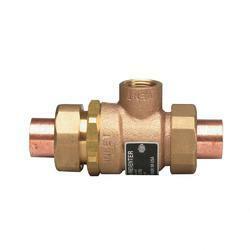 These valves can be mounted on panels or at any other convenient point as per the customer's requirement. Looking for Vacuum Valves ?